You don’t need a whole turkey or ham to present as the centerpiece of your Holiday meal. 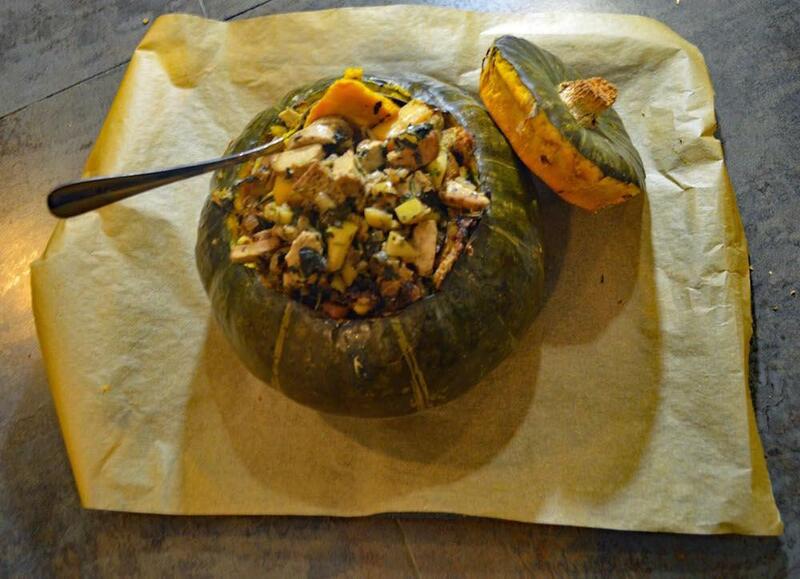 This Stuffed Kabocha Squash is as, if not more impressive than the traditional turkey presentation. It’s my recommendation for a Holiday main course that’s got eye appeal and great flavor but is one even the vegetarian at your table can enjoy. 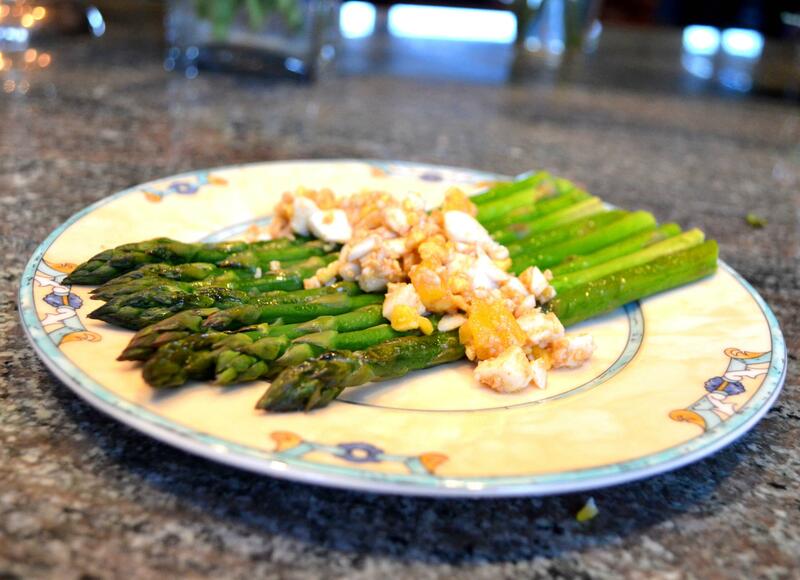 I hate having to make an “extra dish” for the vegetarians. It’s usually an afterthought and one that represents extra work. But this stuffed squash doesn’t have to be the extra dish you make for the vegetarians while everyone else eats meat. 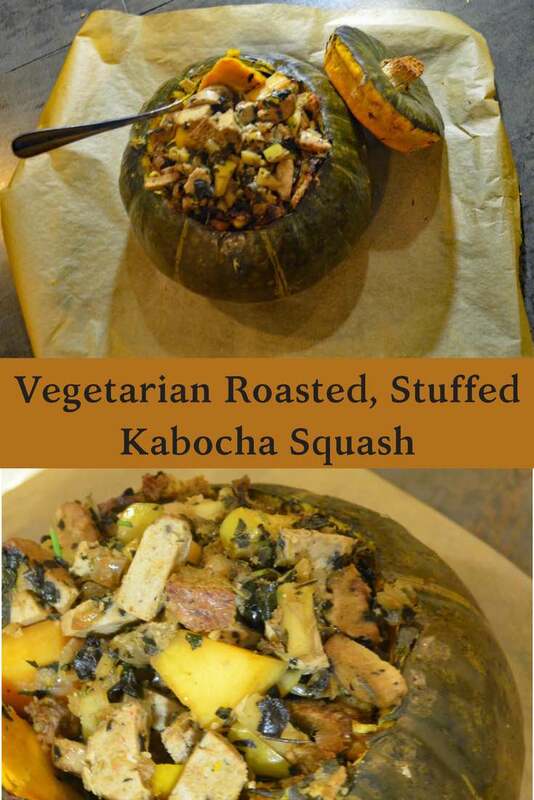 This stuffed Kabocha squash dish is hearty enough to satisfy meat lovers. So make it the centerpiece of your next dinner party. A meatless special occasion meal will do the planet good. If you can’t find Kabocha squash, the recipe works well with classic pumpkin.Although I prefer the slightly firm texture and the more subtle flavor of a Kabocha. Kabocha is, by the way, actually a variety of pumpkin. Those who are familiar with this squash love it for its firm texture and almost velvety texture. It’s fairly common in Japanese cuisine, so you may try looking in an Asian foods market. It’s definitely one of those ingredients that’s worth a little extra effort to find. Yes, if you prefer a dish with meat you can make this stuffed Kabocha squash with traditional Italian sausage in place of the vegetarian version called for in the recipe below. I’ve tried it both ways and definitely prefer the vegetarian version. But let me know what you think. 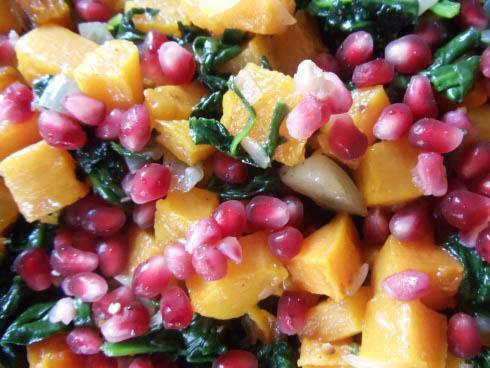 And if squash dishes are your thing, you’ll want to check out Diane Brown’s Roasted Acorn Squash with Spinach, Apple and Pomegranate. This stuffed squash recipe is full of great winter flavor and has a presentation that will "wow." It's a vegetarian dish meat lovers can appreciate. 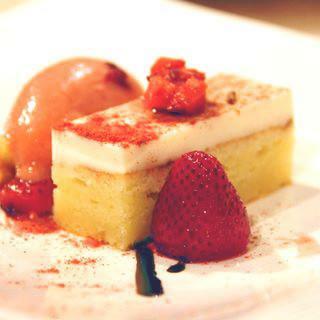 Line a sturdy baking sheet with parchment. Using a strong knife, cute the cap off of the squash (like a Jack-o-Lantern). Clean the kabocha squash or pumpkin of seeds and string. Heat the olive oil in a sauté pan. Add the onions and sauté for 1 minute. Add the celery, kale, cubes of squash and a pinch of salt. Saute for 6 minutes or until the squash begins to soften. Add the apple and sausage continue to sauté for 2 minutes. Add the white wine and cook for an additional minute. Stuff the kabocha squash with the stuffing mixture, being careful not to overstuff. (You may have some stuffing left over.) Top stuffed squash with the cap. Transfer squash to parchment-lined baking sheet and cook for 1 1/4 hour. Remove the cap and continue to cook for an additional 15-30 minutes, until flesh of the kabocha squash is soft and easily pierced with the tip of a knife. To serve, either slice wedges from the squash like a pie or scoop out servings, being careful to scoop out the kabocha or pumkin’s fresh with the stuffing. The kabocha squash should have a creamy texture when it is fully cooked.